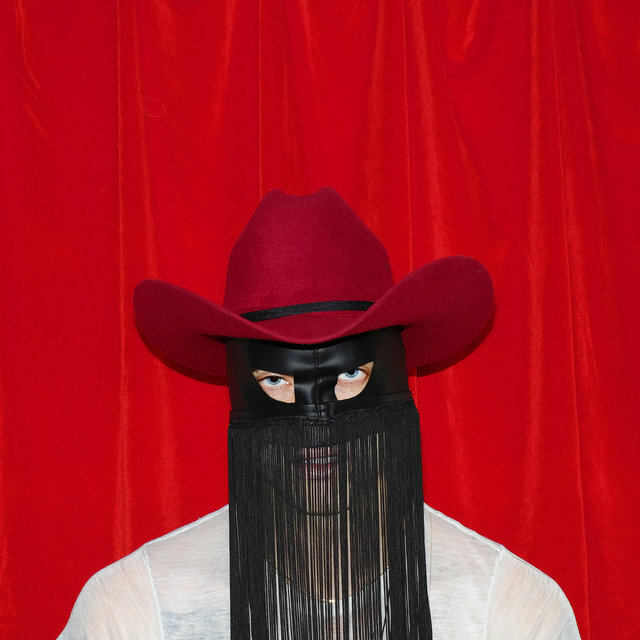 Orville Peck has another name, but he doesn’t want you to use it. This is who he is now: a masked musician, a self-proclaimed country star. It’s a reasonable request when you liken it to calling Lady Gaga “Stefani Germanotta” or Lana Del Rey “Lizzy Grant.” Still, people keep trying to look under the new Sub Pop signee’s mask. Although we have access to Google over here at TIDAL and are aware of Peck’s other identity, we’re going eschew all that for the time being. We can tell you that Peck has played with punk bands and lived all over the world. That he’s done mask work and acting and that his voice is classically trained. But as for who he is under the black fringe, that’s in the dead zone. Peck is a dynamic musician who embraces ‘60s, ‘70s country pastiche, but he pens songs that go beyond the usual parameters of the genre. Like Merle Haggard and Johnny Cash, he draws on the imagery of the Old West and its lawlessness, but instead of going full-tilt into that traditionally macho realm, he filters everything through his experience as an openly queer artist. We could tell you more about Peck’s background at this juncture, but we’d no sooner unmask a cowboy than steal his hat. Instead, read on for our interview with the country legend himself. His debut album — at least as Orville — is titled Pony and drops this Friday (March 22). Where did your fascination with the old West and country music come from? I’ve been an artist in a lot of different ways since I was very little. I worked as an actor and a dancer and a musician in various different countries and capacities. And I think I’ve always approached it all with a visual mind. I’m a visual person; I’m a visual learner. I think that, combined with the fact that I’m not an incredible technical musician —all the instruments I know how to play I taught myself — means I approach music with references that are what people have called cinematic. I’m highly visual, so the music comes out that way. The music that inspired me creates a picture in my mind. You’ve played with bands like Hunx and His Punx in your past music life. Did working with these kind of throwback bands inspire you? I think it definitely was new for me at the time and I think it probably just expanded my limitations as a musician. I had already been a fan of girl groups and music from the ‘60s and ‘70s for a very long time. If anything, it probably just gave me the confidence to feel like I was able to play different types of music that I already was a fan of. Not to reveal too much, but it seems like you were pretty open with yourself and your body with previous projects. You’d be shirtless or nearly naked in photos. Now you’re not only more covered up, you wear a mask. Was there a reason you wanted to put less of yourself out there? It’s funny. I guess I don’t necessarily think that that’s true. 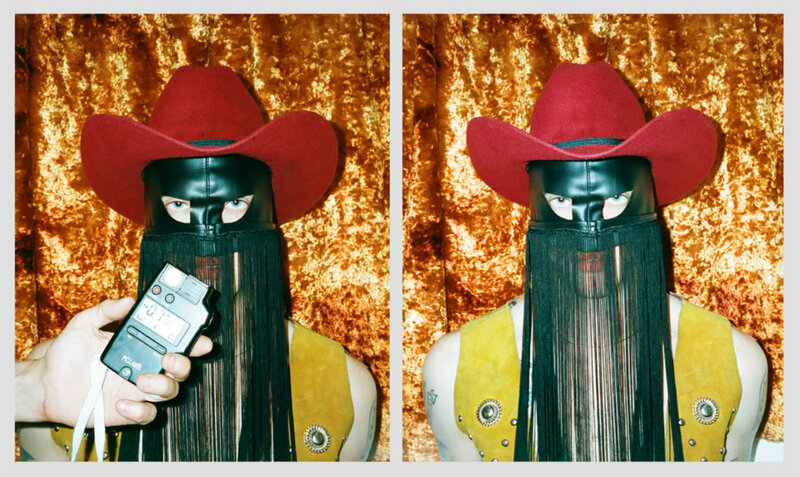 I think, with this project, the mask is just part of who I am as Orville Peck and that’s just kind of part of my identity. It’s not really hiding my identity, it’s just is part of it. I’ve been in a lot of bands over the years, and I think this album and the songs on this album are actually probably the most sincere that I’ve ever been. I think my performances now are the most hang-up-free. I feel the most exposed and, at the same time, the most confident that I’ve ever felt making music — or any kind of art. The mask has allowed me to do that. I have this philosophy about masks as an art form that I think they reveal a lot more than they conceal. So I think that it actually has allowed me to be a lot more exposed. Even more than when I was playing in bands and not wearing a mask and going by a different alias. Those details about this project, I’m not consciously creating this air of mystery or this huge persona or anything. It’s just the expression in which this project is kind of channeled through. That seems to be the focus for some people, for sure. I understand why. I actually appreciate all of those points of view. Listen, I’m not under any kind of assumption that I can put on a fringed mask and I wear a cowboy suit and be like, ‘Don’t talk to me. It’s not there.’ Obviously, I’m aware that I’m doing that and of course it’s partly because I think it looks cool and I like the aesthetic. It speaks to the artistry and the showmanship of what I’m trying to achieve with this project. Of course those things are relevant. But, at the same time, the only way I feel comfortable getting away with doing that is because I really try to pour my heart into the music. I don’t rely on the aesthetic to become the shtick or the focus. If you think of someone like David Bowie, who was incredibly visual, incredibly artistic, incredibly purposeful in everything he did, but also wrote some of the most incredible music of our lifetime. That’s someone you can really invest in for the long run. He just feels like an artist with a point of view. Not to compare myself to David Bowie. Those are the people I respect as artists and that’s what I’m trying to do. You don’t see a lot of masked musicians these days. Perhaps that’s what people are stuck on. It’s not as common. People like Lady Gaga and SOPHIE do something similar, though — they adopt personas. I remember when Lana Del Rey came out and everyone was trying to be like, ‘Oh, you know her name’s Lizzy Grant?’ Everyone was trying to do this big exposing thing. To me, it’s like, ‘Yeah? Who cares?’ To me it’s like someone saying, ‘Oh, you know the Gorillaz aren’t really animated characters?’ Yeah, we get it. I’m already beyond that level. I’m not worried about that because I’m someone who can allow adventure and magic and mystery into my life. It has a real special quality to it. I can go allow with those things without feeling perturbed because I’m not fully in the know about it. There have been a couple of attempts to expose me or whatever, but to me it’s funny because I feel like I’m hiding in plain sight. I don’t know why anyone wouldn’t want to be on board, because as far as I know, I’m Orville Peck and I’m a country star. Are you going full country with this project? I know you come from a more indie background. I think my biggest inspiration for this project is my love for country music. The sound of this album is rooted in ’60 and ‘70s country. My intention isn’t to fabricate something too specific, so I think the reason why there’s qualities of other sounds and genres on this album is because I’m telling the stories that I know. I’m just making the art that I like, which just happens to be country — but also punk and new wave and classical and gospel. My version of a Merle Haggard confessional story is something that is in the same vein. Merle Haggard may sing about disappointing his mother when he got thrown into prison. I might sing about trying to keep a relationship in the 21st century and the effect that that’s had on me as a person. You have a pretty striking voice. When did you realize that this is how you were meant to sing? I’ve been singing since I was very little. It’s funny, not very many people ask me about my voice and there’s a pretty good story behind it. I basically spent my whole life believing that I was a tenor. So most of my previous singing stuff has been me singing quite high in my register. Then I went away, in Europe, and I did a bunch of training in various academies. I basically discovered through one of these academies that I had this entire two-range octave below what I thought I could sing. Are you planning on being Orville Peck for a while then? I just am Orville Peck. Tomorrow I might be someone different, but I’m Orville Peck, and I’m a country star.